Can planning and architecture manage? This event is one of the series of five public Global Debates celebrating ten years of the Urban Age programme. The debates discussed five core themes that have been the focus of research and debate at the Urban Age since 2005. The event series is organised by LSE Cities and Deutsche Bank’s Alfred Herrhausen Society, in association with Guardian Cities. More urban areas will be constructed during first three decades of this century than all of history, placing enormous pressure on politicians, planners and architects. If properly steered, urban growth can drive wealth creation through improved productivity, better planning and greater equity. The reality of the urban condition, instead, reveals that in many parts of the world urbanisation has become more spatially fragmented, less environmentally responsive and more socially divisive. Cities have become more sprawled and less dense. Do planners have the political mandate to steer urbanisation in a sustainable direction? The head of UN Habitat Joan Clos, who is coordinating the world’s most influential urban policy convention Habitat III in 2016, exchanged global experiences with practicing architects and researchers to identify whether the design and planning professions are up to the task of designing a new generation of cities that contribute to wealth creation and social equity. 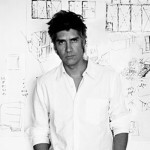 Alejandro Aravena is an architect and since 2006, he has been Executive Director of ELEMENTAL, a Do Tank that, in partnership with the Chilean Oil Company COPEC and Pontificia Universidad Católica de Chile, develops housing and infrastructural projects with public interest and social impact. Aravena has been a member of the Pritzker Prize Jury since 2009 and was named Honorary RIBA International Fellow that year. 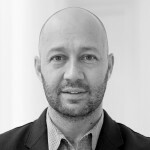 He is Director of 15th Venice Architecture Biennale (2016). José Castillo is a practicing architect in Mexico City and a visiting professor at Harvard University’s Graduate School of Design. 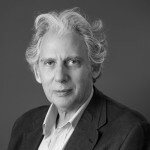 Alongside Saidee Springall he founded arquitectura 911sc, an independent practice based in Mexico City. Their work includes award-winning social housing projects, cultural facilities, infrastructure and large-scale masterplans, and they are winners of the 2014 Audi Urban Futures Award. Castillo is member of the advisory board of LSE Cities and Urban Age. Beatrice Galilee is the Daniel Brodsky Associate Curator of Architecture and Design at The Metropolitan Museum of Art in New York. 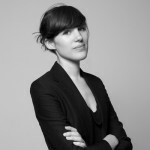 She was Chief Curator of the 2013 Lisbon Architecture Triennale, Close, Closer, and has curated exhibitions and events around the world including 2013 and 2012 Milan Design Weeks, 2011 Gwangju Design Biennale and 2009 Shenzhen Hong Kong Biennale. She is the co-founder and director of The Gopher Hole, an exhibition and event space in London, architectural critic at Domus, and associate lecturer at Central St Martins College of Art and Design.